At Miss P’s we specialize in “Home cooked goodness”. Give us a call and we will help you plan your event. No budget too big or too small! 1. You are able to enjoy your own party! 2. Do you really want to ask your friends and family to help? 3. They bring everything you need to keep your food items fresh! 4. They have adequate staff to keep things tidy. 5. They clean up and pack up all your leftovers! Also, Chamber 101-Utilizing your Chamber Software! 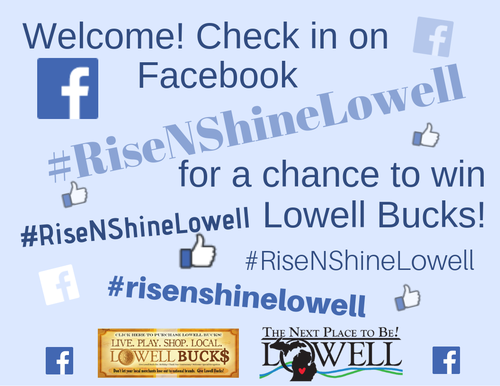 Networking, 30 second commericals and Business Card drawing for Lowell Bucks!